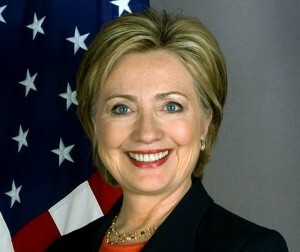 “If you had to name one book that made you who you are today, what would it be?” the Sunday Book Review asked Clinton. Following Clinton’s comments, some praised the former first lady for her statement. “RT If you love this quote by @HillaryClinton on how the Bible was and remains an influence on her life,” Tweeted Faith4Hillary. But others scoffed at the notion, stating that Clinton is far from biblical. “Apparently Hillary Clinton didn’t read the verses about lying and bearing false witness,” another wrote. As previously reported, Clinton also spoke about her Methodist upbringing in April as she was the keynote speaker at the United Methodist Women’s Assembly in Kentucky, where she addressed a group of over 7,000 women about spiritual and social issues. Clinton additionally spoke of how Jesus fed the five thousand, remarking that it reflected the duty of mankind to care for the less fortunate. But Pastor Bryan Ridenour wrote earlier this year on his blog America, Look Up that he could never support Clinton should she run for president due to her stances that contradict the word of God.